People Magazine – Just Married! Scan from the November 3 issue of People Magazine. Matthew featured in OC Metro Magazine! 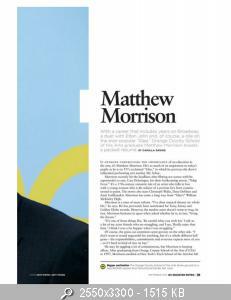 Matthew is featured on the September 2014 issue of OC Metro Magazine, in the “Power Profile” section. “My Life In Music”: Now magazine interview! OK! Magazine interviews Matthew: magazine scans! 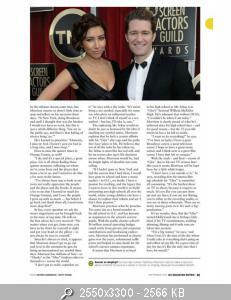 Matthew talks about his upcoming wedding, Glee and Cory Monteith in the latest issue of OK! Magazine UK. Magazine scans: Glamour UK and Hello! Matt’s photo scrapbook: Sunday Mirror interview! Matthew comments on some scrapbook pictures in the Notebook feature of the Sunday Mirror (June 16)! Magazine Scans –> Sunday Mirror (June 2013). 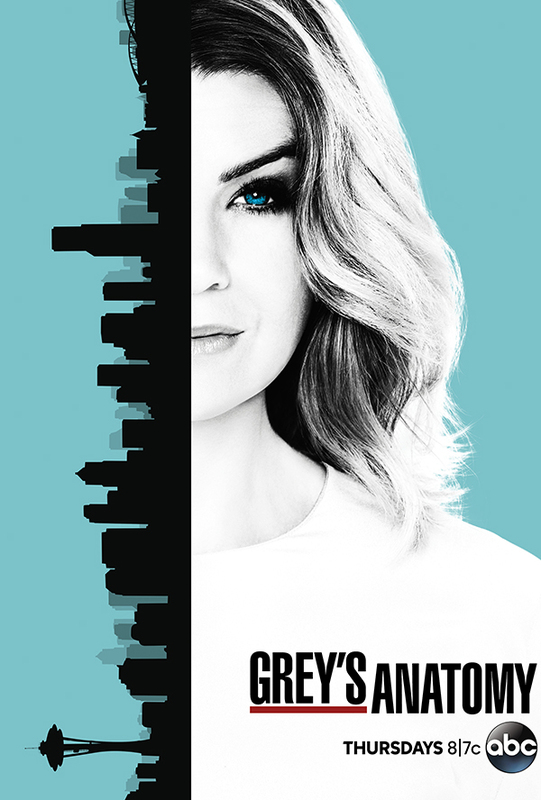 Click on the picture to view the HQ scans. New interview on Attitude UK: magazine scans! Reveal Magazine and Cosmopolitan UK new interviews: magazine scans! Luxury magazine, US Weekly and People interviews: magazine scans! “Where It All Began” interviews and photoshoot: Dujour magazine and The Huffington Post! School’s out for much of the country, to the great joy of students and—let us not forget—their teachers. Among the newly-freed faculty is Will Schuester, one-time Spanish instructor and glee club mentor at McKinley High, and a character on Fox’s Glee. 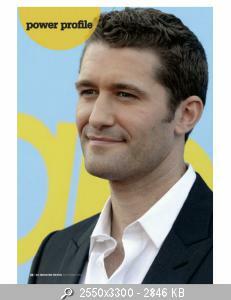 Schuester is played by actor Matthew Morrison, who has chosen to spend his hard-earned hiatus…at work. Until now. DuJour chatted with Morrison, who opened up—quite honestly—about the future of Glee, LGBT equality, his own relationship and having the chance to be the show-and-dance man he’s always wanted to be. 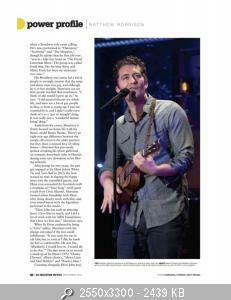 Read the interview below, and catch him on the road or watch him in a PBS special airing this month. Your album is the first release from 222 Records, Adam Levine’s label. How did that happen? It was the easiest thing. I’ve been in L.A. for four years now and Adam lives there, and we’ve become friendly over time. We got to talking one day since he has such an affinity for this style of music. Really? Mr. “Moves Like Jagger” likes show tunes? I know; you wouldn’t think it. He’s a pop rock guy, but he’s actually recorded a few standards himself. When I told him I’ve always wanted to make an album like this, he said, “Well, let’s make it.” He’s been so amazing because he’s an artist, and he knows how artists should be treated. He was really kind of hands off in letting me do my own process. It’s been a ball. He checked in a few times and loved everything he’s heard.